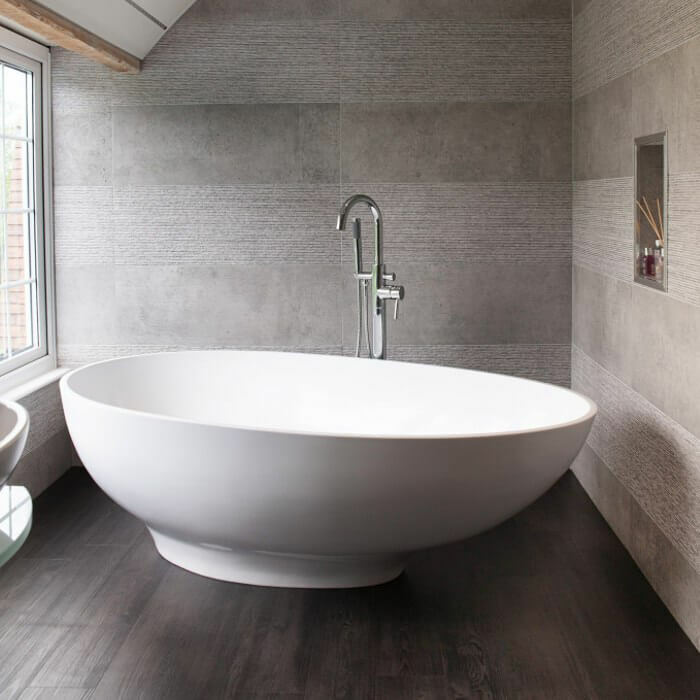 Our GIO Cian® solid-surface bath is a combination of trend setting design and technical achievement.The minimalist, egg-shaped GIO bath is both comfortable and stylish to enhance any bathroom. Being rimless, GIO has a generous bathing area. With the standard GIO bath the waste pipe needs to be run under the floor. 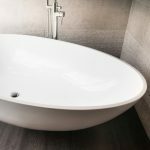 If the waste has to run above the floor, you can order an additional plinth to raise the level of the bottom of the bath.